We are Certified International Property Specialist Group. Providing superior service in both the residential and commercial markets to all our clients across the globe. With a vast network of many needed professionals and agencies, our team will deliver one-stop service to you, your family, and your company. We are service oriented – providing an in depth consultation and continued support throughout whole process, we use our broad experience in the real estate investment field to achieve our clients' goals. In just a few days, members of Real Estate Investments USA will be traveling to New Orleans for Keller Williams Family Reunion! Almost 20,000 of the top Realtors from across the world gather to learn the systems and tools from the #1 training company in the world in order to further our company mission and better serve our trusted clients. Ching has been tirelessly working in the international real estate industry throughout the years, making great connections between Asia and the U.S. for Keller Williams International. 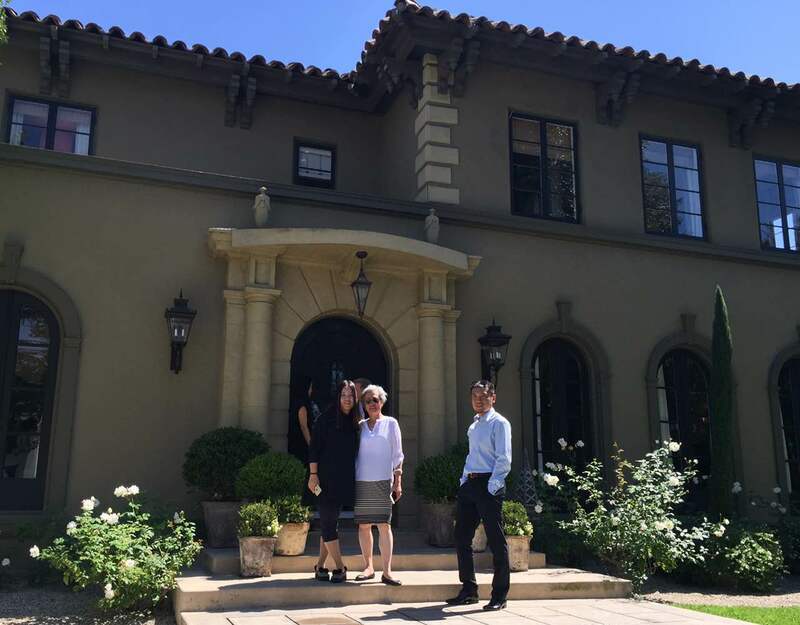 In September, Ching accompanied the top luxury real estate firm from China that was visiting California to tour the luxury market in the Orange County, Los Angeles/San Francisco Bay area. This is a work in progress, it will be leading to long term cooperation between Keller Williams and this top firm in China. In the recent weeks, Ching has been officially named as KW GPS Ambassador for 9 states of the NW Region. 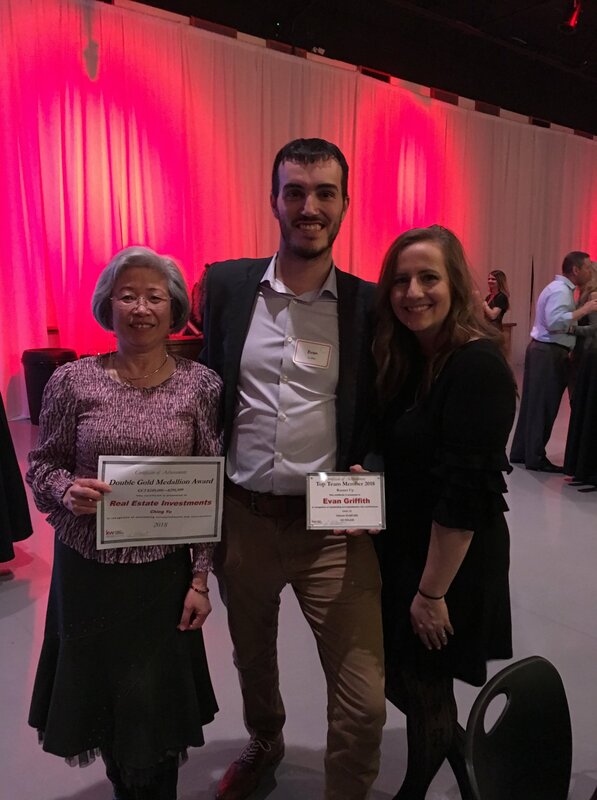 Ching has positioned herself as the linchpin for the future growth and health of this community in the past 6+ years in Keller Williams. She will be responsible for training, maintaining and growing GPS members in the NW Region. 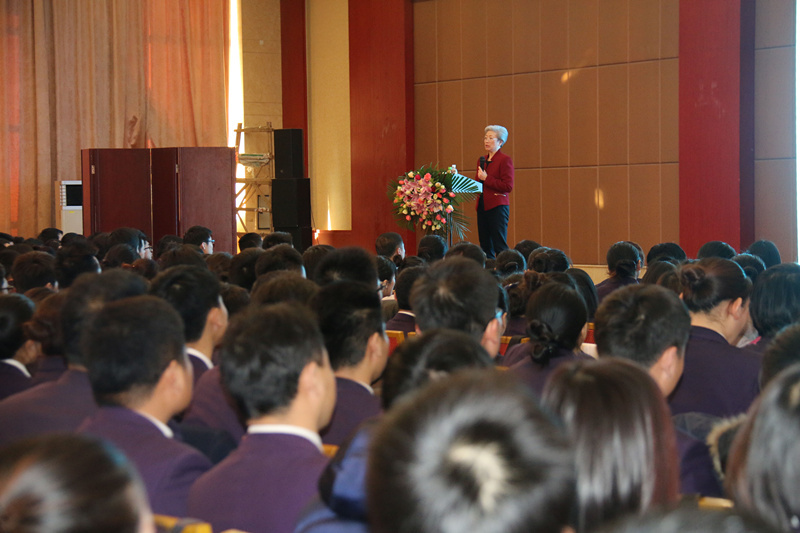 Top Left : Ching as the featured speaker on the stage. Top Right : The main stage. Bottom Left : Ching as US VIP delegate. The third “China/North America Real Estate Summit” was held for 8 days in three cities in China and concluded successfully in Changzhou City on June 24th, 2016. The summit was focused on China's real estate industry development trends in the next five years according to China’s “The 13th Five-Year Economic Development Plan”, exploring concepts of innovation, green design, open community design, speeding up structural reform of supply system, development of the construction and housing industry, discussing real estate market, and cooperative opportunities between China and North America. The eighth “China Real Estate Science Development Summit” was combined with the third “China-North America Real Estate Summit" in Changzhou. The theme of this forum is a new five-year plan and a new industry pattern about the future direction of Real Estate industry. There were over 1500 invited delegates, featuring Ching Yu as President of the Asian Real Estate Association of America - Portland Chapter, and CEO of Real Estate Investment USA, as one of the VIP guests and speakers of the North American Delegates, seating at the 3rd row VIP seat at the front. Main speakers are Wang Yi Ming, Deputy Director of China Development Research Center of the State Council; Zhao Ji Cheng, Vice President of Ping An Bank; Liu Zhi Feng, President of China Real Estate Association; Tang Hua Jie, Senior Vice President of Vanke Industry; and David Crowe, Chef Economics of Home Builder Association of USA. On June 23rd, Ching was the featured speaker on one of four sub-forums, the topic was “Senior housing in the United State compared to traditional real estate property.” The presentation includes investment opportunities that Ching’s company represented. Ching’s speech covered one of the key development areas of China’s “The 13th Five-Year Plan”, it was well received and highly appreciated by China Real Estate Association and every delegate in attendance; many of them wish to continue further cooperation with Ching’s team in this field. This summit held one in every 2 years, which put together by AREAA (Asian Real Estate Association of America), and co-hosted with CREA ( China Real Estate Association in China ), and was designed to create an one of a kind world-class event with the experience filled with new connections, new inspiration for business, new ideas for real estate investment goals, and to explore China’s continuously economic growth and how this has affected the real estate industry around the world. 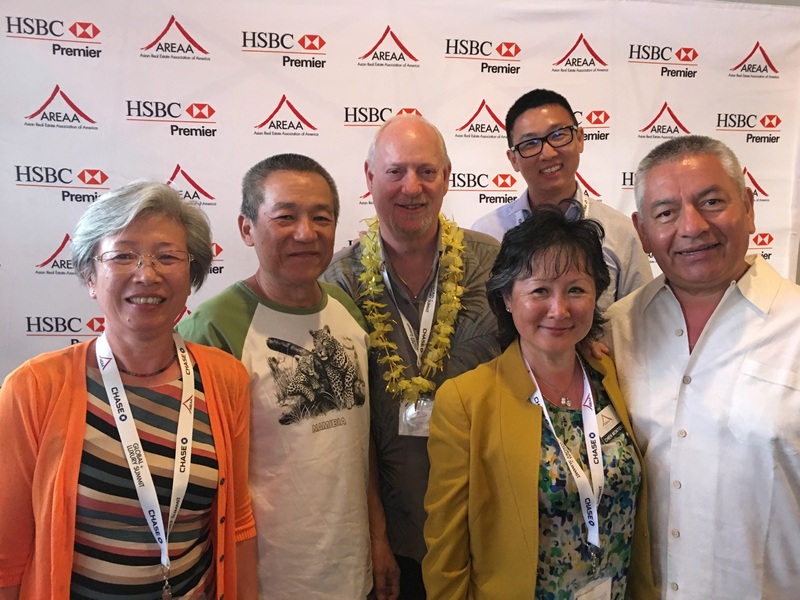 ● 2016, April, Ching as President of AREAA Portland Chapter has been invited to AREAA Global and Luxury Summit in Hawaii, she brought 3 board of director from Portland Chapter to attend. There were international delegations from 12 countries in the Summit, which presented a great opportunity to learn global real estate and luxury market up to date and networking. 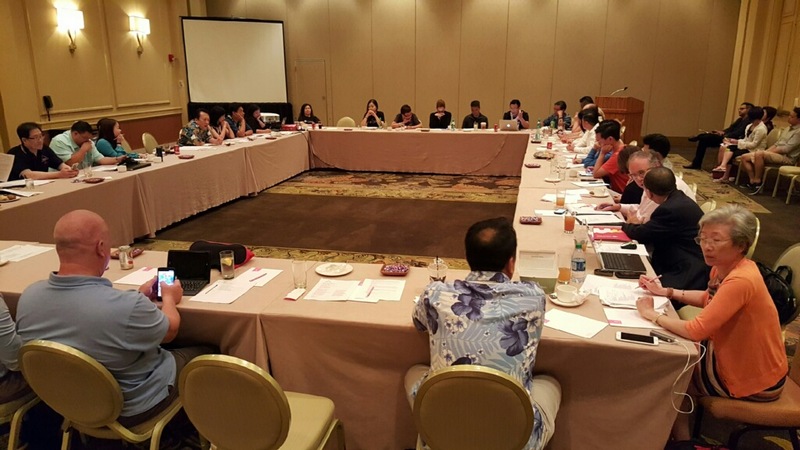 During the summit, Ching has attended AREAA national board meeting as the board director. 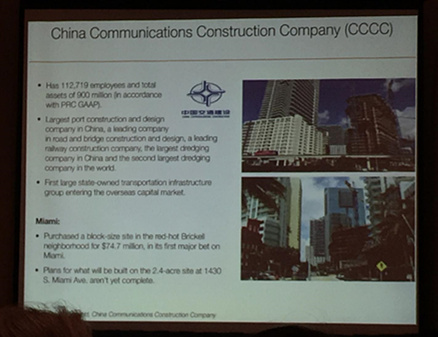 Right: One of many sections talked about some major new development projects in the US by big Chinese developers. ● 2016, February, Ching Yu has been invited to give a speech to the top luxury real estate firm in Beijing, topic is global and US real estate. This trip was exceptional, please stay tuned for more progress news from our group. ● 2015, Dec. 1st, Ching Yu has been appointed as AREAA ( the Asian Real Estate Association of America) 2016 Portland Chapter President. Please click here for more information about AREAA Portland Chapter. 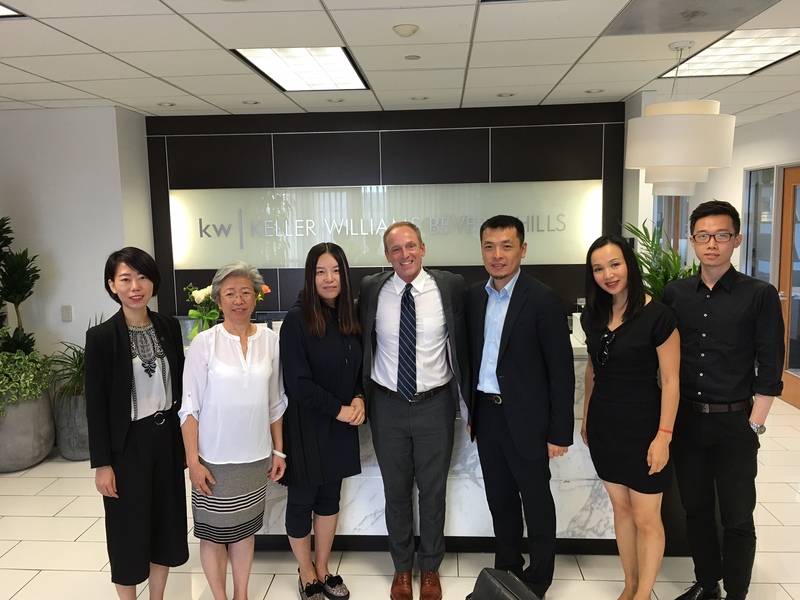 ● 2015, Nov. 18th to 20th, Ching’s business partner, Chairman and CFO of the Real Estate firm from China visiting Keller Williams Sunset Corridor for the second time. Left: Round table meeting with Bill Hunt, Keller Williams International Consultant. Right: Team picture in KWSC. ● 2015, Oct. 22nd, Ching attended AREAA National Convention in San Francisco as the Portland Chapter board director. In the Convention, Ching has been selected by AREAA National to be in the task team to organize the 2016 US-China Real Estate Summit. Ching with Allen Chiang, AREAA Global Chairman, Tina Mak, founder and President Canada AREAA. ● 2015, Aug. 14th to 20th, Ching was in KW headquarter in Austin Texas, she brought a leadership team from China to discuss expansion and franchising opportunities with Keller William Worldwide President Bill Soteroff and International Consultant Bill Hunt, attended Franchise System Orientation training with over 200 leaders from outside of the US. ● 2014, Ching accompanied Chris Heller, CEO of KW and Bill Hunt, International consultant to China, which was the first KW official visiting China. Left: Chris Heller, Bill Hunt and Ching Yu with Shanghai Real Estate Association in Shanghai. Right: Ching was the translator for Chris Heller and Bill Hunt during business meetings in China. ● 2014, June, Ching was in the US-China Real estate Summit in Beverly Hill, CA, which was the first time in the US. There were 60+ Chinese Delegations from China, US Senator and President of FNM from Washington DC who attended the Summit. Left: Ching Yu with Mr. Miao, the leader of 60+ Chinese delegations and Central government officer . Right: AREAA Boards from North American with the Leader of Chinese delegation in the Closing Day of the US-China Real Estate Summit. ● 2014, Ching earned CIPS(Certified International Property Specialist), which is the highest credential as International property specialist team. Please click here for detail information.